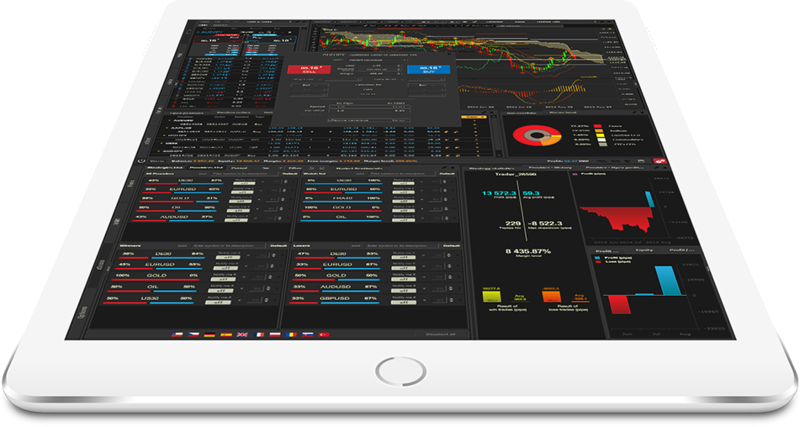 The new version of MetaTrader provides many additional elements, which make the trading much more easier and compact, thus making it one of the best platforms available on the market. is a trading platform that has established itself as a standard in the trading industry. The Terminal is universal and allows you to choose amongst different trading instruments – Forex, CFD, Futures, technical analysis and news. 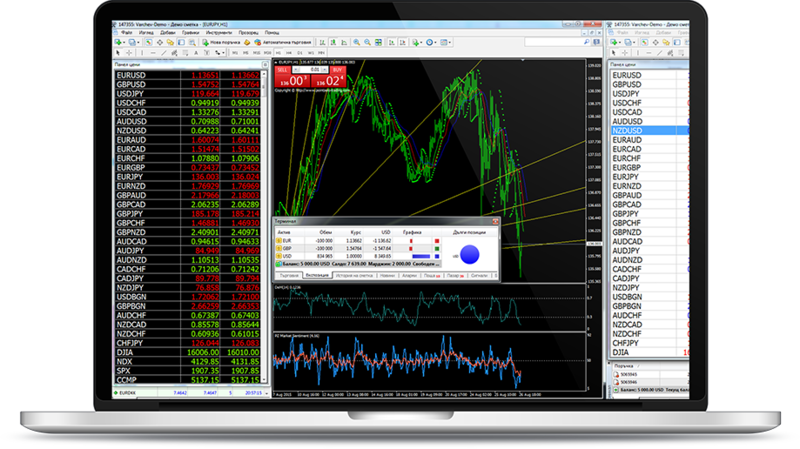 Meta Trader 4 includes a number of popular indicators and advisors ( Expert Advisors). 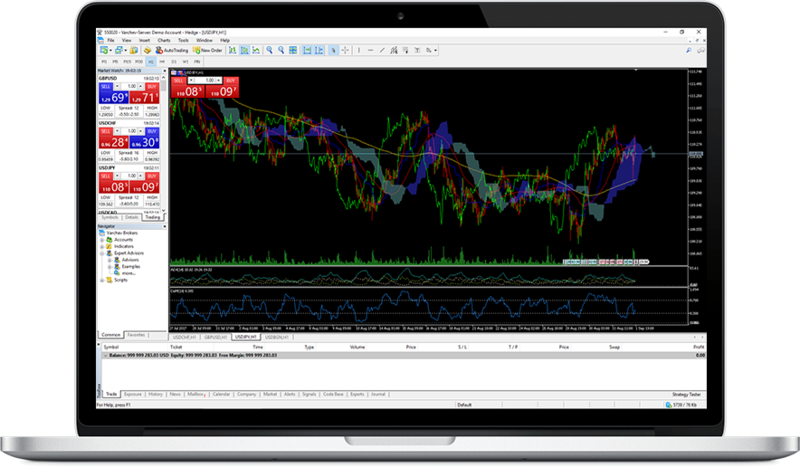 With the ability to add custom scripts, developed on MQL (Meta Quotes Language). 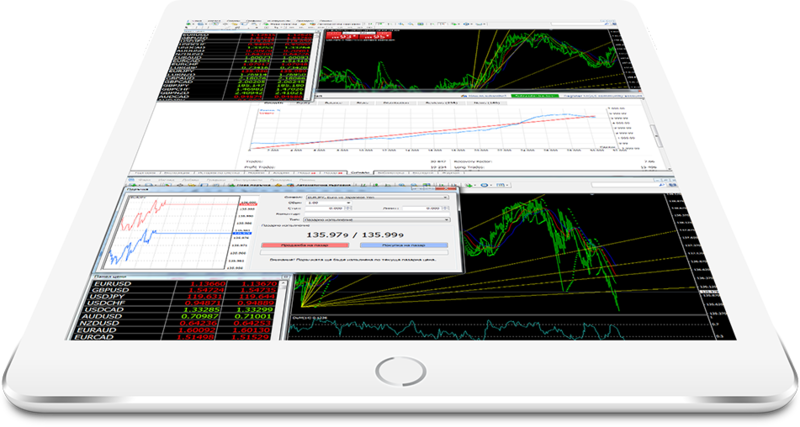 The system allows the automation of almost every trading strategy. Meta Trader 4 is the choice of hundreds of thousands of traders worldwide. 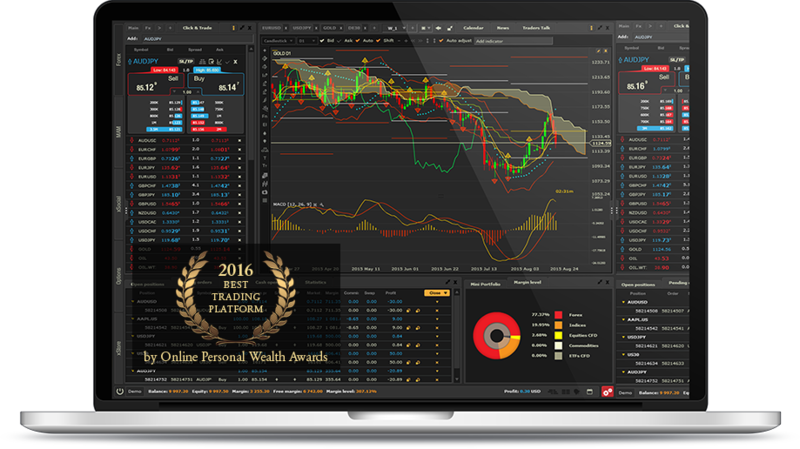 (Varchev Absolute Trader) is a trading platform which establishes a new level in the trading of investment financial assets, allowing you to work with different trading instruments – Forex, CFD, Futures and ETFs via browser, mobile device or computer. THE WISHES AND INTERESTS OF TRADERS WORLDWIDE HAVE BEEN TAKEN INTO ACCOUNT DURING THE DEVELOPMENT OF THE PLATFORM. The platform supports a number of products for secure and convenient trading: large numbers of instruments, mobile trading application for tablets, and smart phones running either iOS or Android, social trading platform that allows you to track the best deals and traders in the industry, automatically copying selected strategy, additional tools for the platform available in the application store. The MT4 platform of "Varchev Finance" executes orders starting from 0.01 lots, or the equivalent of one share of the company, which allows to minimize the risk and / or perfect market environment for Stocks traders with small accounts. Forex traders can choose their preferred level margin / leverage , starting from 1: 1 up to 1: 500, allowing flexibility in managing of the risk / earnings ratio. (Contract for difference - CFD). Varchev Finance Ltd is registered in the FCA (FINANCIAL CONDUCT AUTHORITY) with a passport in the United Kingdom: FCA, United Kingdom - registration number: 494 045, which allows provision of financial services in the United Kingdom. Varchev Finance Ltd strictly comply with the statutes of the European directive MiFID (Markets in Financial Instruments). targeting increased efficiency, transparency and uniformity of financial instruments. The information on this site is not intended for distribution or use by any person in any country or jurisdiction where such distribution or use would be contrary to local law or regulation. CFDs are complex instruments and come with a high risk of losing money rapidly due to leverage. 63,41% of retail investor accounts lose money when trading CFDs with this provider. You should consider whether you understand how CFDs work, and whether you can afford to take the high risk of losing your money.